One aspect of their world that both carnivores and herbivores share in common is their fear of new objects or unfamiliar sounds in their environment. Blinking lights or loud noises can be a very effective tool in keeping wildlife away from your farm animals and vegetable gardens. You may wish to research the following websites to see if any of their products might fit your situation. 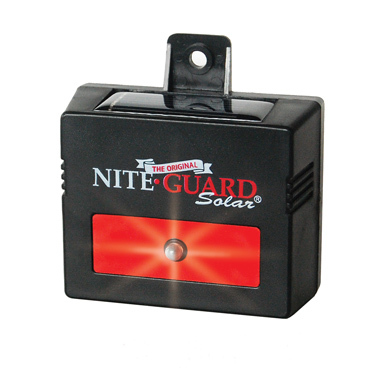 www.niteguard.com A product whose battery is solar powered, and is activated automatically at dusk to project a large flashing light. 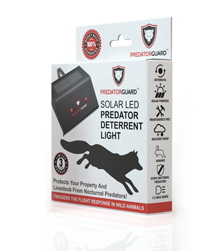 www.predatorguard.com Powerful twin LED lights trigger the flight response of wild animals, and make them stay away. 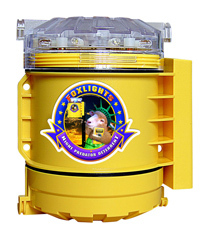 www.foxlights.com A device that emits a computerized, varying flash with either 2 or 3 colors, meaning predators will be less likely to get used to it.